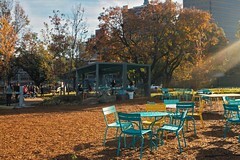 Memphis is a beautiful city, but Mississippi River Park needed some revitalization. 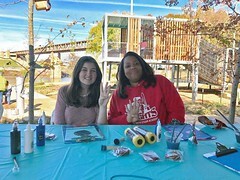 Together with The Memphis River Parks Partnership, The City of Memphis wanted to transform the “Fourth Bluff” into a vibrant community space that could support small events, regular programming, and casual athletics. 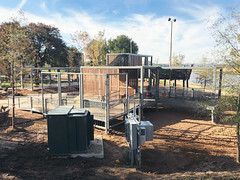 The groups wanted the park to feel different than the rest of the parks in the area, which are largely comprised of open fields with grass and flowers. And the park isn’t just for kids. 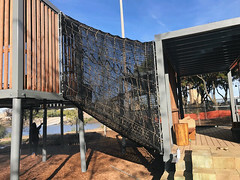 The project’s masterminds wanted this to be accessible and fun for all age groups. 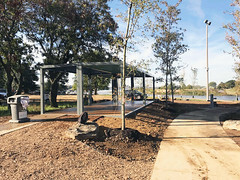 The River Garden, designed by Groundswell Design Group and Pickering Firm Inc. is a beautiful open green space that highlights the nearby river and complements the typography at Mississippi River Park. 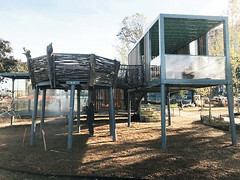 To withstand the harsh weather and increased traffic, Groundswell Design Group contacted Boxman Studios to help them build seven purpose-built chassis to serve as a pavilion and playground structure including ramps, landings, railings, and a seating area designed to look like a bird’s nest. 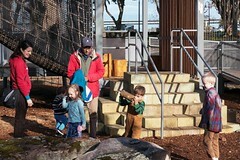 Last week, the park opened to the public to rave reviews. 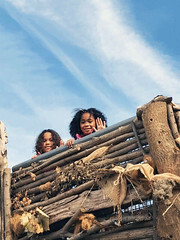 Through The River Garden at Memphis River Park’s Facebook page, the world can see children of all ages making use of the swings, pavilion, and climbing features with big smiles on their faces. We are so excited to see our structures doing exactly what they’re intended to do; building community and creating remarkable experiences. 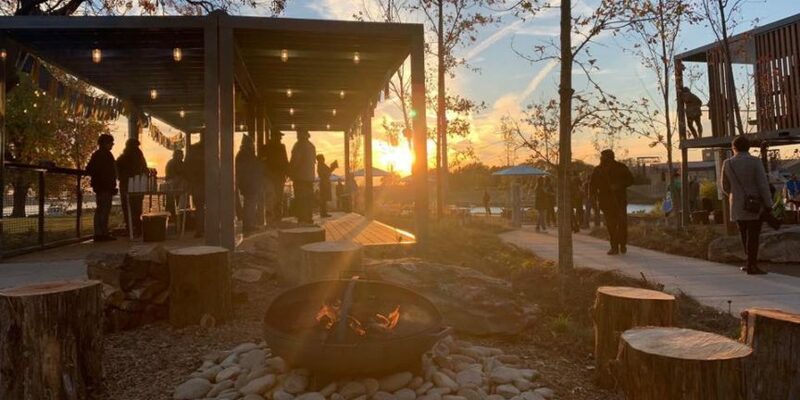 We’re so grateful to Groundswell for allowing us to contribute to this amazing project and we look forward to seeing how the Memphis community gathers around their newest public space. We’ll update with photos and video.